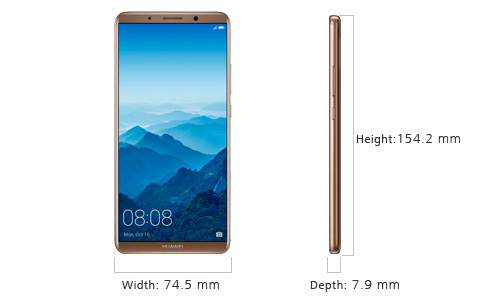 *HUAWEI Mate 10 Pro and PORSCHE DESIGN HUAWEI Mate 10 are splash, water, and dust resistant and were tested under controlled laboratory conditions with a rating of IP67 under IEC standard 60529. Splash, water, and dust resistance are not permanent conditions and resistance might decrease as a result of normal wear. Refer to the user guide for cleaning and drying instructions. Liquid damage not covered under warranty.